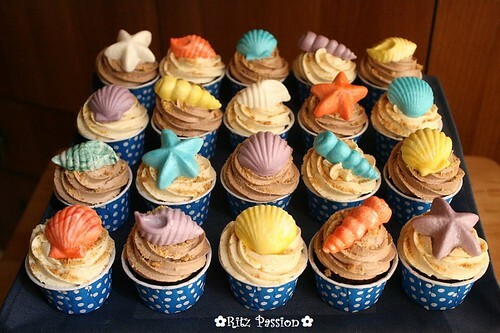 Who sell seashell cupcakes by the seashore?! I love these cupcakes made by Ritz Passion. Fudgy Cupcakes With Vanilla/Chocolate Buttercream & Seashell Fondant Deco, originally uploaded by ritzpassion.